Too hard? Well, then Drop it. Wait, what? Why do we keep our customs? So What’s the Source for the Shavuous Custom? Shavuous is one of the three regalim, three pilgrimage festivals, along with Passover and Succos [Sukkot]. Jews celebrate the anniversary of receiving the Torah at Mt. Sinai, but there are no special things required of us, unlike the other holidays where we stop eating bread or move out of our houses. I had a reform bar mitzvah, but never even heard of Shavuous. In fact, when I ‘went to the Orthodox’ to learn, one of the things I was taught there which had the greatest impact on me appears in the first sentence of this article. My first Shavuous came when i just wanted to see what it was. I met someone in a Rabbi’s basement and stayed the night … the Rabbi came out in the morning and wanted to know who this kid was who stayed all night in his basement learning. Truth is, I tried to leave much earlier but couldn’t find my way back to where I was staying in the middle of the night. It’s a good thing too, because that Rabbi got me into regular Torah learning. This exhilarating feeling of an all night learning session effected me even greater when I learned how to learn. A few years later, I spent the night learning in yeshiva in Jerusalem and walked to the Kotel [Western Wall] in the morning. There, with tens of thousands of people praying loudly, as the sun is about to rise, everyone becomes silent in the silent prayer… all at once. Then I stumbled back to my apartment, taking a ‘short cut’ which turned out to lead me to a fence and a much longer walk, feeling exhausted and accomplished. Then came this year – it no longer works for me to stay up all night, so instead I go to sleep at my regular time and wake up super early, e.g. 3:15am, and learn before sunrise and through the morning. This year, my second son walked with me to the synagogue at the start and we learned together. He left after the morning prayers. My oldest son (under bar mitzvah) met me later in the morning and then we learned together. After over 7 hours straight of learning and praying, I walked him with my oldest son at my side. What a great time we had – feeling spiritual, connected to the Torah, and learning with my sons intellectually stimulating and meaningful works helping us understand creation together. Then I ran into this article written by an acquaintance. The gist is that Rav Auerbach was asked by someone whether he should stay up all night and learn when it will cause him to be too tired to learn properly for the rest of the holiday. Rav Auerbach said he should at least stay up part of the night to learn because it’s an important custom. The blog author seems to suggest that since it’s ‘just’ a custom, it should logically be discarded in favor of what will bring more Torah learning. I’d like to build on this – it won’t hurt a person to stay up an extra half hour and learn some Torah at night with a huge number of other Torah observant Jews. Rav Auerbach’s answer seems to be correct on all levels – maximize learning and customs. Our customs are important because that’s who we are. Rav Avraham Rosmarin in Jerusalem once told me that you could carve hundreds of religions out of Jewish texts. In fact, many have been. But if we strictly go by the text, we lack the taste. It is true that one can ‘properly celebrate’ Shavuous by sleeping through the night. One is not even required to learn Torah … or eat cheesecake. The entire holiday is celebrated through customs. But what are these customs? They are the taste and the feeling beyond just the dry letter of the law. Further, a Jewish custom isn’t “cook half a chicken because my mom did to fit it in her pot”. Each valid minhag, which we usually translate as ‘custom’ has a source in the Torah. There is a reason and meaning behind it. Sometimes, it’s just love of the mitzvos – we sanctify the holy days over a cup of wine to beautify and it make it nice. 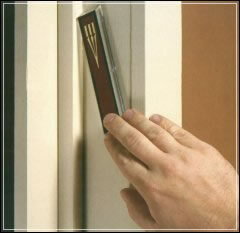 The referenced blog says “there’s no obligation to kiss the mezuzah.” True, but we do it out of love, not obligation! Sometimes, we do things based on things set down by earlier generations who were closer to the receipt of the knowledge, or chose for us a path for future generations to follow in one continuous body. This might be the paragraphs we say from the Torah in the Shema prayer twice a day, or the sounds of the shofar that we blow each year. This is the taste and feeling, chosen for a reason. In the latter example, the sounds are chosen to encompass all opinions and unify the Jewish people. This is also love. Sometimes, it is just ‘protection’ of a Torah command. For example, we don’t eat chicken with meat because we might come to like the taste of meat/milk together when it’s not forbidden from the written Torah, but this too, is because we love the mitzvos and want to make sure to follow out of love, and not only the letter of the law. Again, one could choose not to learn any extra Torah on Shavuous and go to bed and wake up at their normal time, and they wouldn’t be doing anything ‘wrong’, but they’d be missing out on a great opportunity to connect with the rest of the Jewish people, not only in this time, but also in prior times. I don’t think we know precisely how long this custom has been going on, but to give a corollary, I have a close Jewish relative who isn’t religious per se, but she can’t light Shabbos candles. Every time she does so, so thinks of all the Jewish women throughout time who have done this same act and becomes so overwhelmed that she cries. While the King of kings was at His table, He already preceded [the Jews at Mount Sinai … like\ a king who issued a proclamation, ‘On such and such day I will enter the province’ and the people of the province slept the entire night; and when the king arrived and found them sleeping, he appointed over them horns, trumpets, and shofars. And the officer of that province was arousing them and bringing them out to greet the king. And the king was then walking before them until he arrived at his palace. Similarly, the Holy One, blessed is He, preceded [the Jews at Mount Sinai, quoting Shemos 19:16-17]. Section 56. The Jews slept the entire night because sleep during Shavuous is pleasant and the night is short. R’Yudan said: Even a flea did not sting them… Section 56. So in truth, the commentators disagree as to whether or not the sleep that night was a bad thing or a good thing. During sleep, we have a level of understanding that we do not when we are awake, but suffice to say, the custom that has developed therefrom is to stay up and learn the entire night in preparation for receiving the Torah on Shavuous. R’Levi bar Chiya said [Jacob and his sons] cut down [trees] in Magdela Detzaabaya and brought them down with them to Egypt . . . there were acacia trees in Magdela [in the days of R’Chanina] and [the people there] had a custom to treat them as forbidden items because of the sanctity of the Ark [made from these trees]. They came and asked R’Chanina, the colleague of the Rabbis, and he said to them, ‘Do not change from the custom of your fathers’. Section 55. Thus, we see that here, even when the specific trees now growing aren’t used for the ark, the fact is that the trees in this area used to have sanctity given their use. The actions translate into following the customs of your father … here, we’re talking about materials for the holy ark. We do as our fathers and connect to and join in, in that meaning. In the same way, we relive receiving the Torah through the custom of our fathers by staying up and learning Torah … and while it’s not always easy, and not everyone can do it every year, it’s exhilarating. It’s something to be maintained, as is everything else that connects us to the receiving of the Torah, and ultimately, to our Creator. You could go through an entire Shavuous or Shabbos and sleep for 25 hours. There’d be no taste, no love, and no joy. We do more than what we technically ‘have’ to do to get meaning. People feel a need for relationships and connecting with things greater than us. There’s the analytic and the emotional way and we serve the Creator with both. Fully analytic is without taste, fully emotional is without structure.